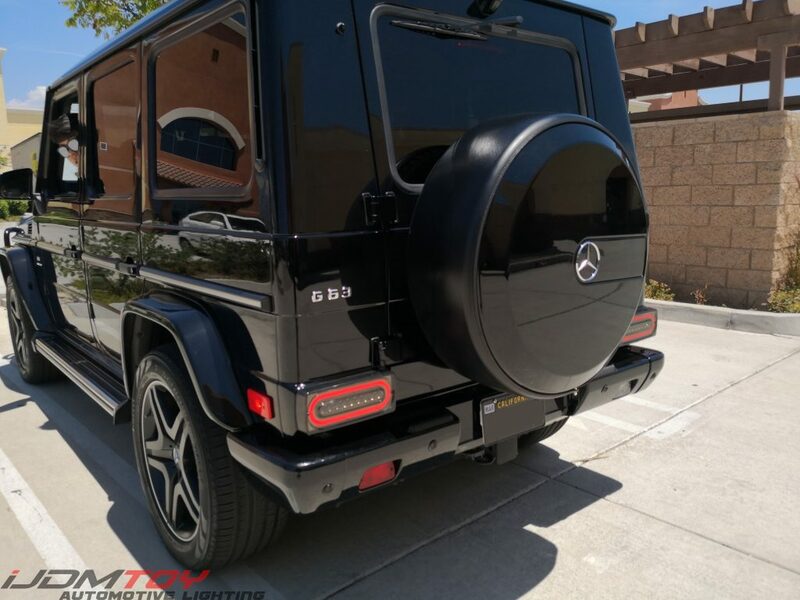 Leo came by our storefront with his Mercedes G63 to pick up a few new products for his luxurious SUV, and he stuck around just long enough for us to ask him if we can try out an installation for our rear LED turn signal tail lights. We learned quite a bit as the installation process took about 3 hours! Thankfully Leo was very patient with us and received the LED assembly for his troubles. We’ve overhauled our installation guide so you guys can get it right the first time. With that being said, this is how to install our G-Class LED turn signal tail lights. 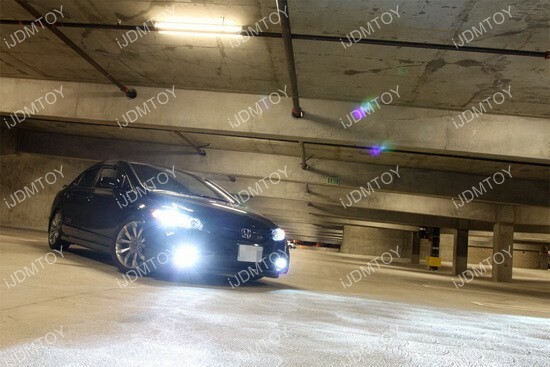 Our F1 style Subaru LED rear fog/brake light for the WRX, WRX STi, Impreza, and Crosstrek is an extremely popular LED light many Subaru enthusiasts like to add to their tail end. Not only does it replace their lower bumper bezel with a highly functional running light, but it also has an awesome strobing effect as they apply their brakes to warn drivers behind them that they are stopping in style. With a straightforward installation process, it’s no wonder the F1 style LED tail/brake lamp are practically flying off the shelves! While the wiring is simple, it’s also easy to get them mixed up and as a result, the Subaru LED brake light doesn’t work as it should. So what do you do? There’s no denying that headlights are one of the most important safety features a car can have, as demonstrated by the evolution of all the lighting assemblies. It’s hard to imagine that we first started with oil lamps as vehicular lighting, and now we have some of the best technology available. LED Conversion Kits for Fog lights and head lights is one of the examples of how lighting technology has evolved to bigger and brighter lights. 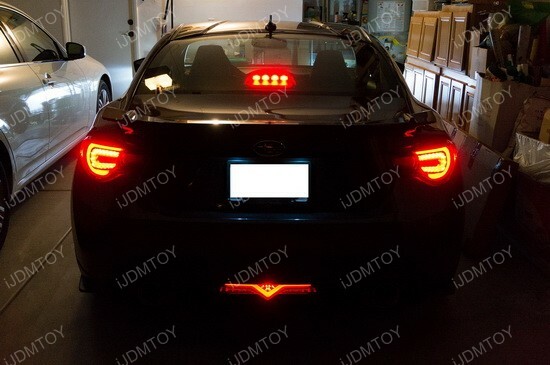 This F1 Diffuser style LED Bumper Reflector for the Scion FRS and Subaru BRZ is a must-have for anyone who has one half of the famed twins. The Valenti LED rear fog light gives your sports coupe a touch of the racing style that makes the car look like it belongs on the track. There are several different styles available, including clear, smoked, or red, giving you full liberty to choose which design best complements the car. This switchback LED bulb is specially designed so that it functions as a rear fog light as well as a backup light. Switching from your stock bulb to the new switchback LED reverse light/fog light bulb is not complicated and involves some pretty straightforward steps. This LED rear fog light/reverse light upgrade is compatible with 2011-up Chevy Volt and the new 2015 Ford Mustang. 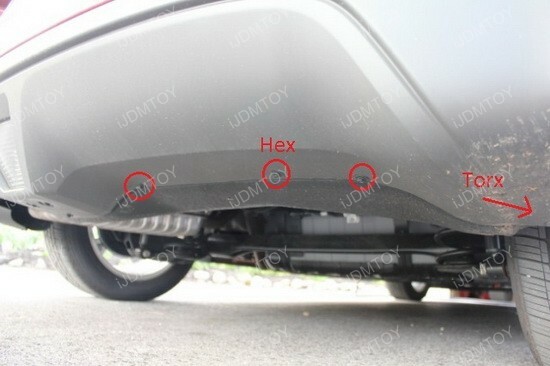 Step 1: Remove the Hex and Torx screws circled in red that are located at the bottom of the vehicle’s rear.